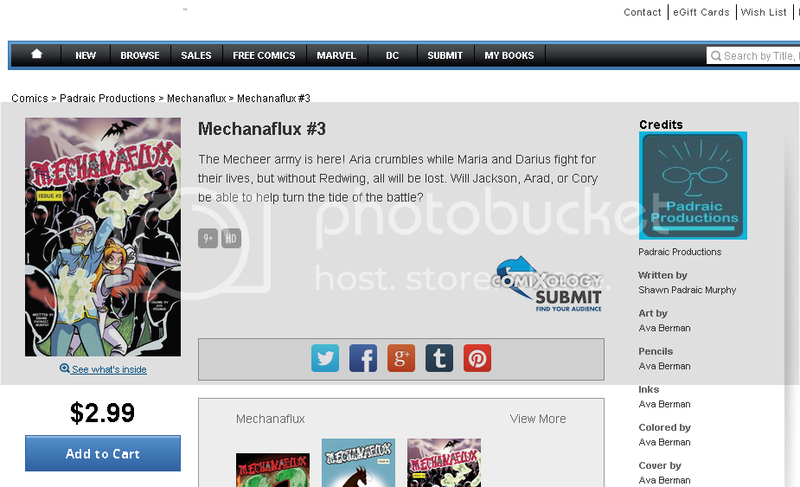 Mechanaflux #3 Is Now On Comixology! Mechanaflux #3 is now on Comixology! Is you’re following the webcomic, then you know Issue #3 / Chapter #3 has just ended. Well, now you can read the 3rd part now on Comixology. Will the Mecheers track down the amulet to Aria? And what powers does this half of the amulet posses? What will Maria and Cory do now that they know they are sibilings? Another full-color, 22 page issue awaits!